Bulgaria’s prime minister firmly ruled out his country’s participation in the proposed NATO fleet in the Black Sea aimed at countering Russian forces in the area: “I don’t need war,” the politician said after Russia promised a response; meanwhile Romania’s president, one of the initiators, has hurriedly backed off. "I always say that I want the Black Sea to see sailboats, yachts, large boats with tourists and not become an arena of military action… I do not need a war in the Black Sea," Bulgarian Prime Minister Boyko Borissov said on Thursday referring to the proposal for the NATO fleet in the Black Sea made by Romanian President Klaus Iohannis while visiting Bulgaria on June 15-16. “Our country will not become part of the Black Sea fleet being prepared against Russia,” Borissov said as quoted by EurActiv.com website. “To send warships as a fleet against Russian ships exceeds the limit of what I can allow,” Borissov told reporters in Sofia on Thursday, as cited by Bloomberg. Klaus Iohannis has quickly backed off, insisting that “the Black Sea naval initiative regards joint training and exercises and that NATO cannot and does not want to keep a fleet in the Black Sea,” Romanian news agency Agerpres reported on Thursday. “The initiative I introduced to the Bulgarian President and Prime Minister is an initiative designed for cooperation in the area of joint exercises and joint training of the Romanian, Bulgarian and Turkish naval forces. 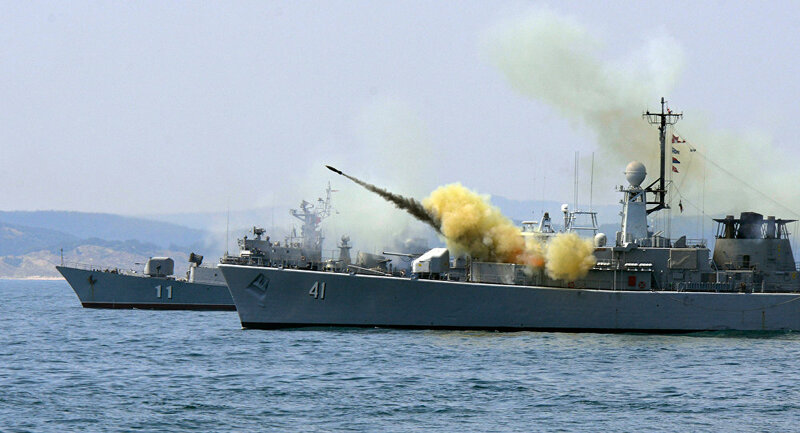 This is the so-called naval initiative, and it does not comprise all naval forces, just joint exercises and training," the agency quotes the Romanian leader as saying in response to recent statements by the Bulgarian prime minister. ''Where the misunderstanding probably emerged was in relation to the concept of a NATO fleet. Nobody creates a NATO fleet. That would be nonsense. NATO cannot and does not want to keep its own Black Sea fleet,” Agerpres quotes Iohannis as explaining. ‘We will board the ships, we will waive our flags, but only Bulgaria and Romania”, the Bulgarian prime minister said, adding that any other scenarios could lead to a military conflict. 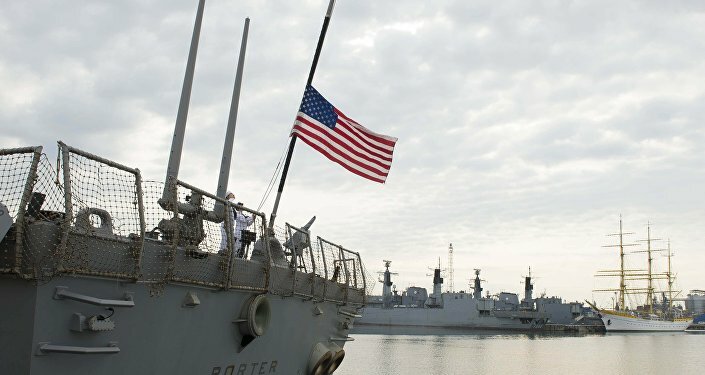 After the USS Porter (DDG-78), armed with assault cruise missiles and an Aegis Ballistic Missile Defense System (primary weapon: Standard Missile 3), entered the Black Sea last week, Moscow promised “response measures” to Washington. “If a decision is made to create a permanent force, of course, it would be destabilizing, because this is not a NATO sea," Andrey Kelin, head of the Russian Foreign Ministry’s European Cooperation Department then said. Under the Montreux Convention, countries which don't have a Black Sea coastline cannot keep their warships there for more than 21 days. NATO members Turkey, Romania and Bulgaria are all Black Sea Basin countries. 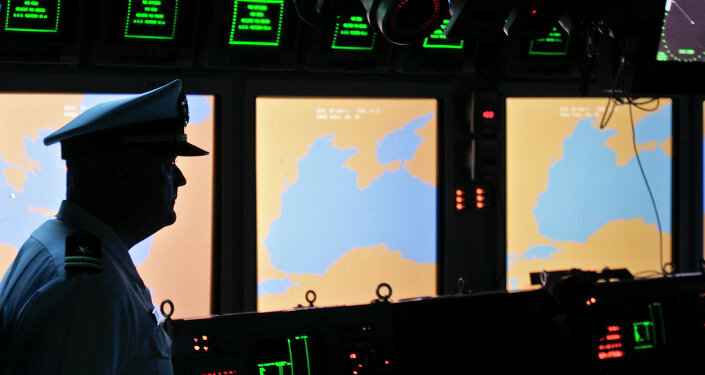 The website said that as early as February Romanian Defense Minister Mihnea Motoc announced that Romania is taking the first steps to negotiate with NATO to set up a regular multinational naval patrol in the Black Sea. “The possibility of creating such a fleet might be discussed at the next NATO summit in July,” Motoc then said. He added that Romania must be ready by then with a clear plan and proposal. 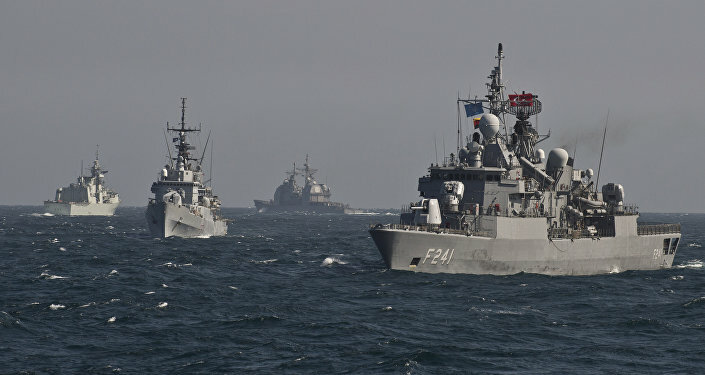 The outlet also added that the regular flotilla might include ships from NATO countries bordering the Black Sea, namely Bulgaria, Romania and Turkey, but also from Germany, Italy and the United States. The Bulgarian prime minister was not that optimistic. He said that his country was among the most loyal EU countries and was doing what was expected from the European family. But he added that there was no way that Bulgaria would be attacked by Russia. “You remember how our nuclear reactors from the Belene central left for Turkey. Not a single colleague spoke in my defense when President Putin, in the presence of Erdogan, waived his finger at me, saying that Bulgaria lost everything”, EurActive quotes Borissov as saying. The International Court of Arbitration at the International Chamber of Commerce in Geneva ruled in favor of the Russian Atomstroyexport company and ordered to pay €620 million in compensation from Bulgaria to Russia.